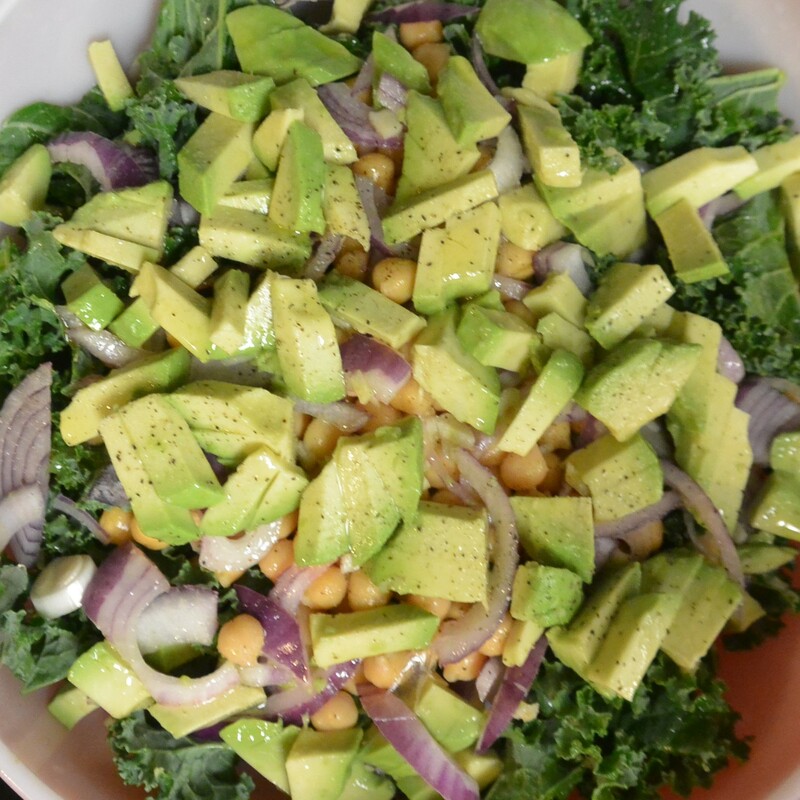 This Chickpea, Avocado, and Kale Salad is vegan, raw and very healthy. It’s tangy, savory and green…it’s just really good. A perfect salad to bring to a friend’s potluck, a side at your dinner meal or a healthy lunch time for you. If you love Kale, be sure to check out our latest Homemade Soup Recipe Roundup which includes a few kale soups in there. Place the chopped kale in a bowl, drizzle some olive oil over it and massage into the kale. This will take some of the bitter kale taste away. Toss the drained chickpeas, diced avocado, minced red onion and garlic together. Squeeze the juice of one lime or lemon over the top, you may add more olive oil it you'd like. Sprinkle with salt, pepper and red pepper flakes. You can put it in the fridge for a bit so the tastes can blend, then ENJOY. Honey is optional if you like a sweeter sauce. The other day I substitute the chickpeas with shelled soy beans and it was delish! Follow Punky Moms’s board Get Fit on Pinterest. I have been making this once a week for dinner, with enough left over for a lunch the next day, I can’t stop!